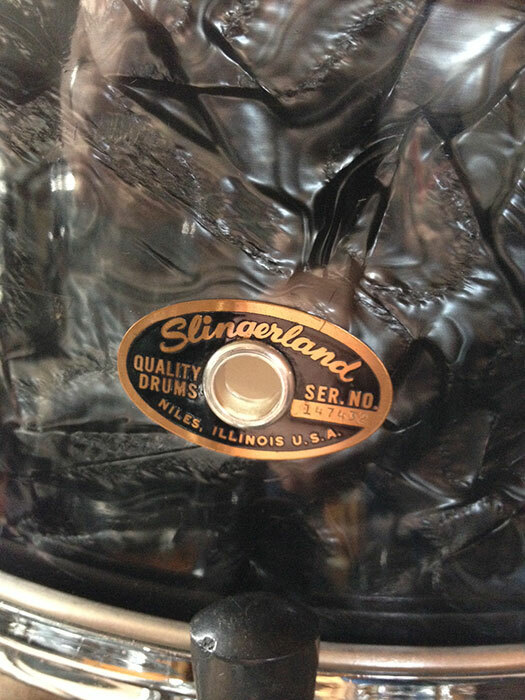 For sale is this simply spectacular 1960s Slingerland Duet 14N factory matched set in black diamond pearl! 20/20/16/13/12 with two snares, all sporting the classic Gold & Black Niles badges. BDP matching 14 snare is a 6 lug deluxe student model with new snare wires and heads. 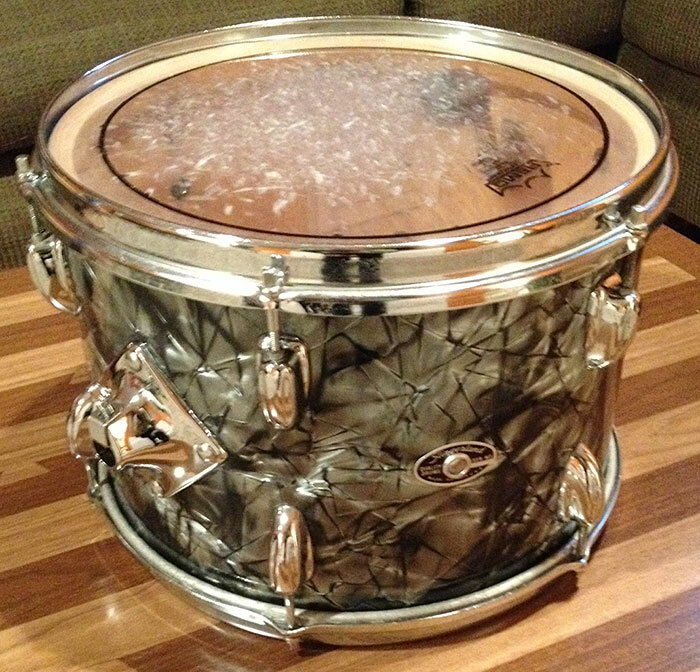 Chrome over brass 14 snare is an 8 lug sound king with zoomatic throw (good amount of pitting on the throw), orginal snare wires and new heads. 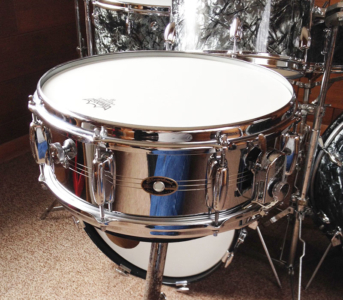 Set features chome over brass stick saver hoops and new heads on all shells. Very minor pitting on chrome hardware, mostly on the leg mounts and thumb screws, otherwise super clean. 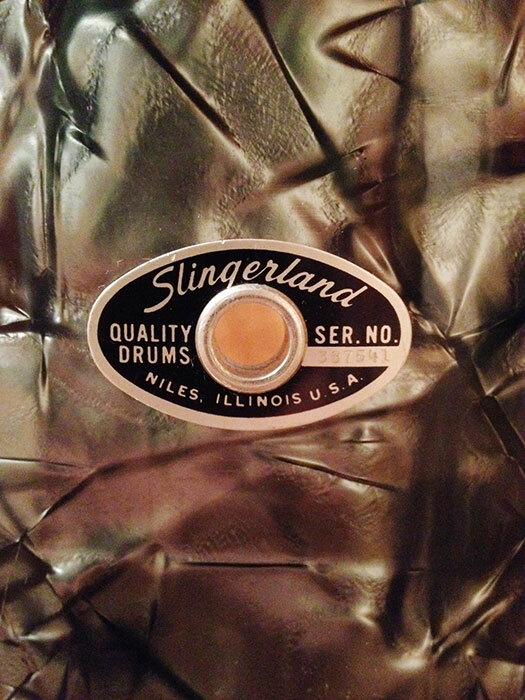 All shells are in-round with the milk chocolate wash interiors and appear to be 3 ply with reinforcement rings. Most shells stamped with the P indicating they were destined a pearl wrap but no date stamps are apparent. 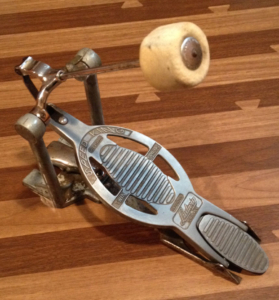 All bearing edges are original and in great shape. Some ply separation visible here and there, but very minor. Shells tune up great and sound huge! 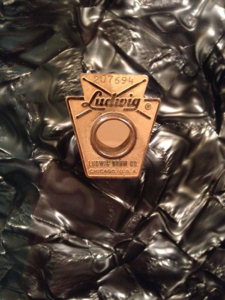 Wrap is original, tight with only little fading. A little bit of discoloring on the floor tom wrap seam, but no lifting anywhere. Hardware included is the double tom setomatic mount stand, rocket snare stand, hi-hat stand and two cymbal stands. Sorry, no bass drum pedals included. All hardware is pretty pitted, but perfectly functional. 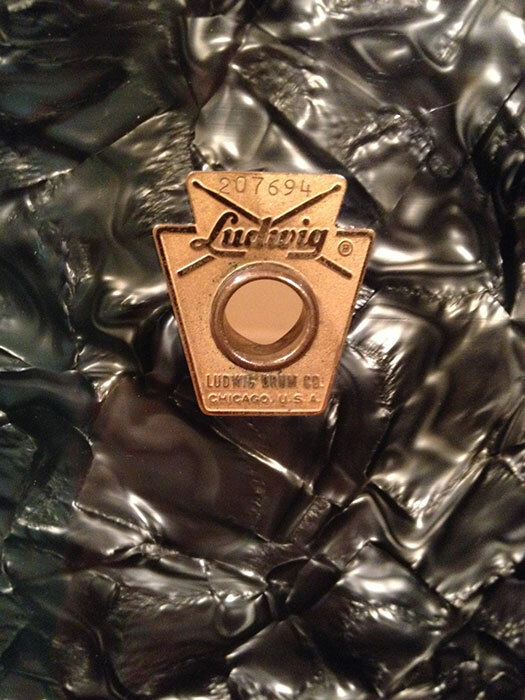 Throwing in this hardware at no cost towards the asking price of the set. Here’s a link to the original catalog page. 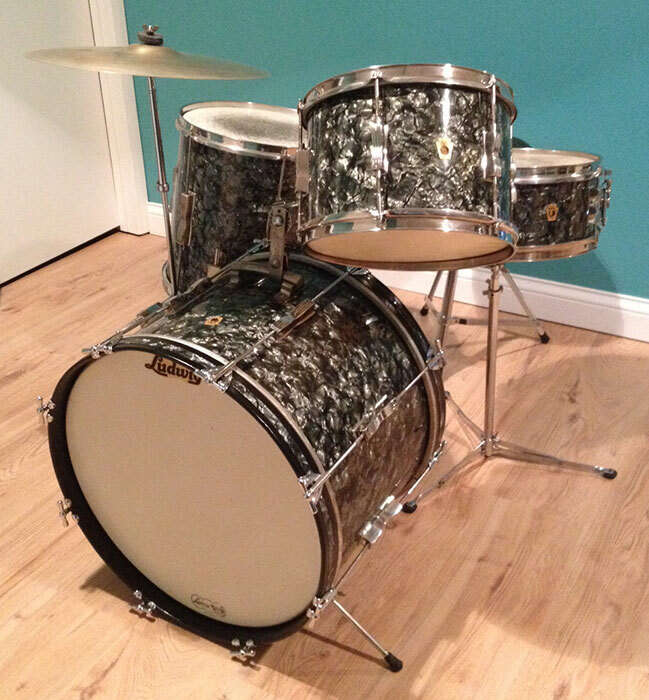 For sale is a super clean kit of vintage 1965 Ludwig Club Dates in Black Diamond Pearl with nickel hardware and keystone badges. 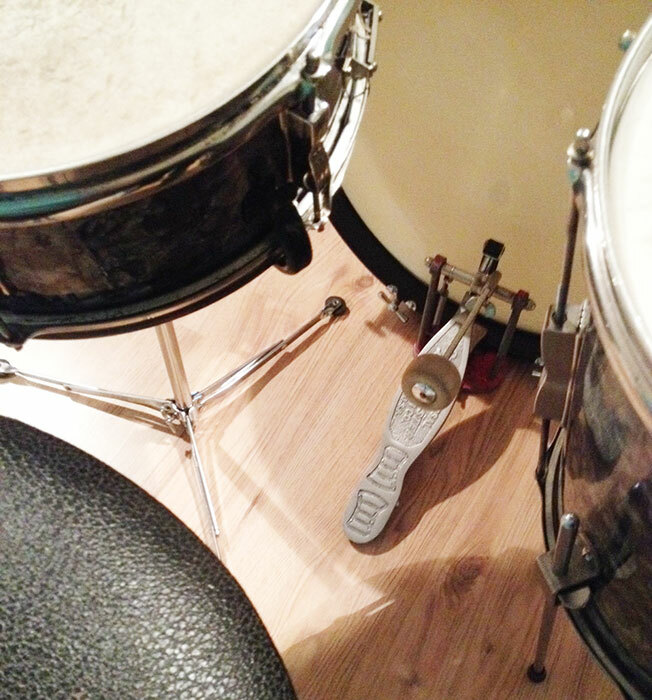 20/12/14 and 14 Pioneer snare. All nickel over brass hoops. 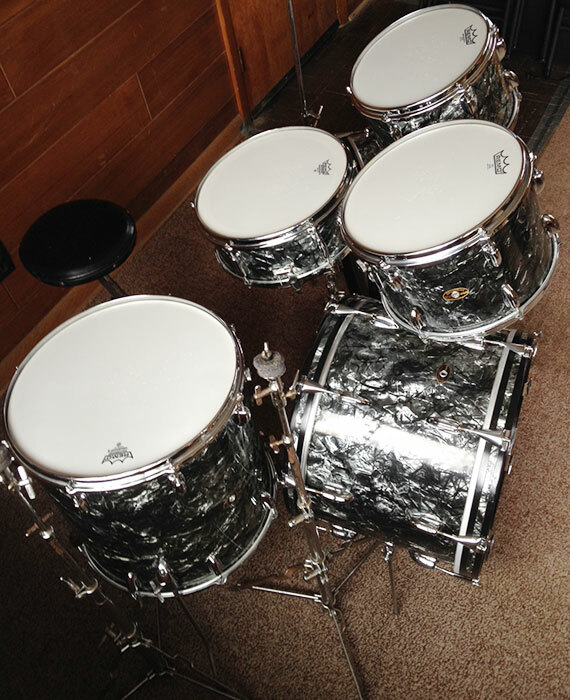 The bass drum T rods and claws appear to be chrome. 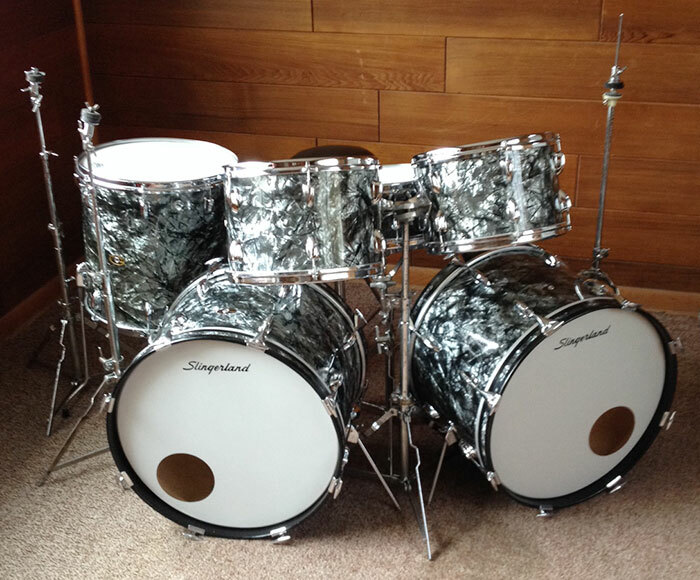 All drums are in-round and have nice, clean white interiors. 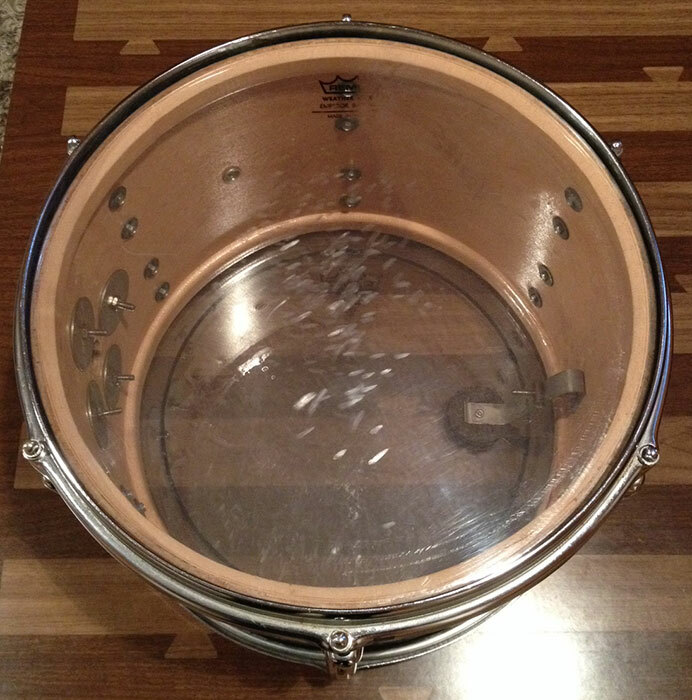 Floor tom shows a bit more normal flaking then the others near the re-rings. I do not see any date stamps. Bearing edges good and original. All wrap is tight with very minor fading. Little bit of seam lift on the floor tom and very little curling on the bass drum hoop inlays. Original snare wires as well as all original heads, which are heavily used. Original resonant head on bass drum looks great. 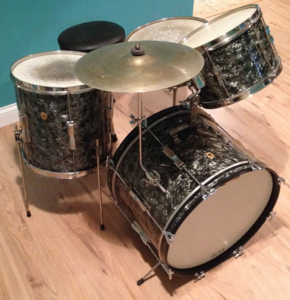 Hardware included is a red frame Speed Master pedal, WFL flat base snare stand and a Ludwig throne that appears to have been reapholstered on the seat top. 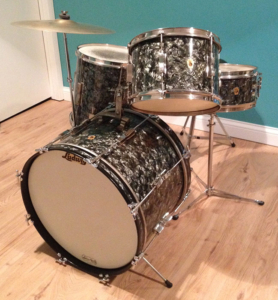 Also includes original cymbal arm with 15″ Ludwig Standard Paiste cymbal. For sale is a vintage Ludwig Speed King Bass Drum Pedal. Great working order. 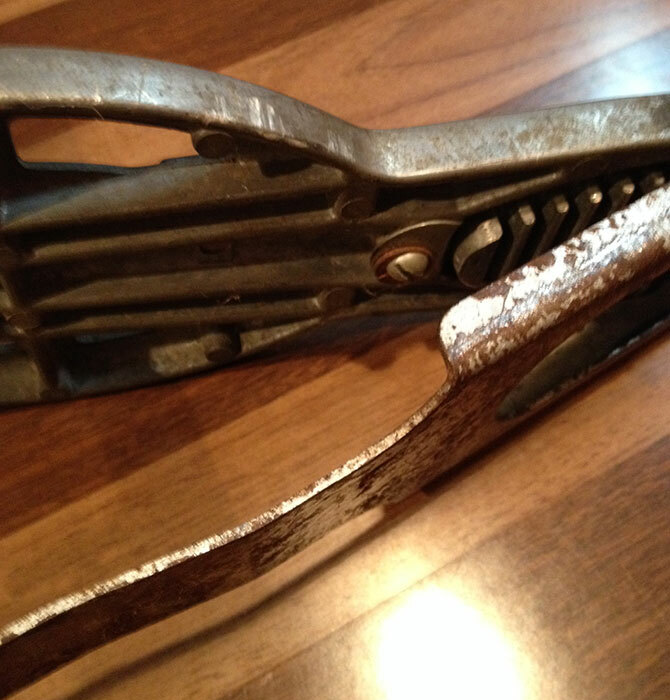 The heel plate washer is a bit bent and it has normal wear. Original beater has a bit of a flat spot. 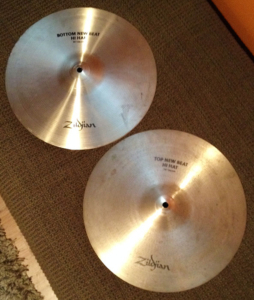 For sale is a pair of 14″ Zildjian New Beat Hi-Hat Cymbals. Little dirt and tarnish, but in perfect shape. 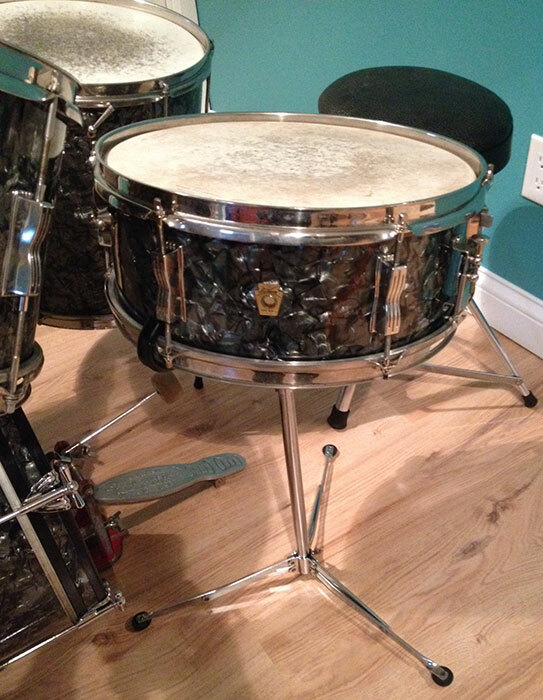 For sale is a vintage 1970s Slingerland 9×13 Tom in Black Diamond Pearl finish. Super clean and chrome is in great shape. Chrome over steel stick saver hoops. Wrap is tight and shell is in-round. Few light scratches on the inside. Overall a great drum. 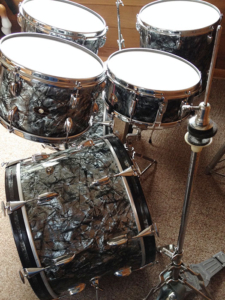 Needs new heads. Tension rods and mount set rod not original. Serial is 387541.